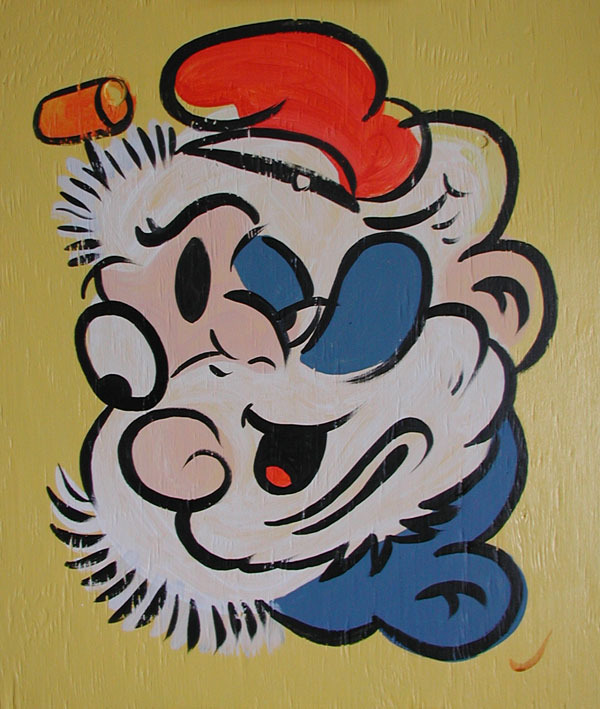 GIANT ABSTRACT POPPA SMURF & POOPDECK PAPPY! A brand-new edition in my oversized Cartoon Jumble Portrait series. 18" x 22", acrylic and latex paint on 1/2" thick plywood. NOTE: Painting image has been cropped to fit.